I had so much fun making this chart this weekend!! I just realized this past week that some of my students would really benefit from such a visual this year. 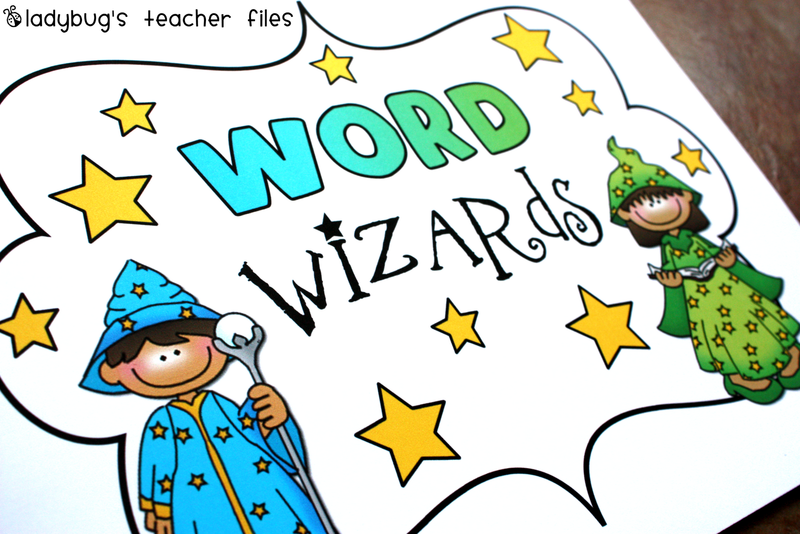 (we had been working on -ing ending words with our Word Wizard books). One of the words was “bring” and a student was confused on how to start the word until I said it began like “brother”, and then he knew! And this is a student who is a very limited reader/writer in English. So I knew if we had a reference sheet, the students would be better able to make these connections and become familiar with consonant blends in English. Plus, my students just love reference charts. Is your class like that too? I tried to use some more complicated word features as well (compound words, different vowel sounds, word endings, etc.) so the words would be more appealing for my higher-level ELL students, while the pictures and initial blends would (hopefully) benefit my more limited English proficient students. 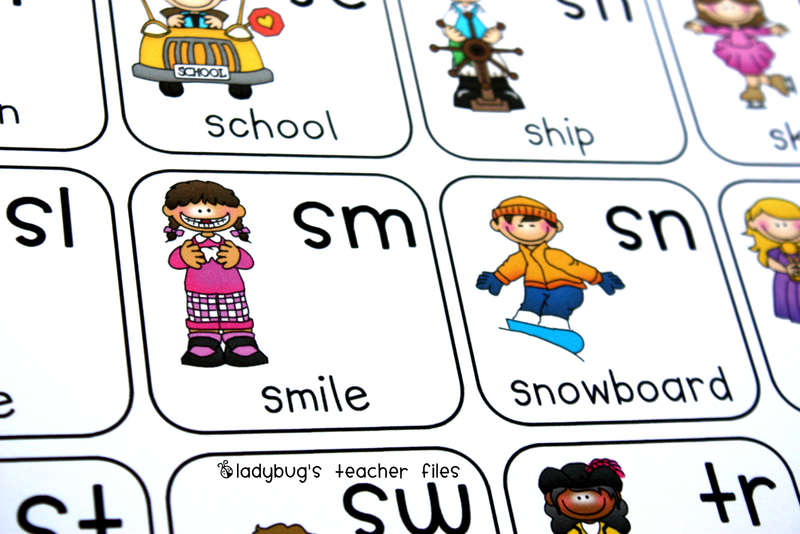 These charts print onto two pages and feature consonant blends only. I plan to make more charts featuring digraphs and other phonetic patterns once this chart has been introduced and utilized in class. …but each student is going to get a laminated copy of this chart and it will become the back cover to their Word Wizards books (the green link has more information on this new spelling system we use). I have to tell you something before sharing the link…Kelli from Castles and Crayons has a beautiful blends and digraphs chart that I saw after I had created mine. I dropped her a line because my chart also features Thistlegirl graphics and wanted to see if she minded if I had shared my version. She was so sweet, of course, and said she did not mind at all. Her chart is excellent and is featured for free on her TPT store–you must check hers out as well (click the green link above)! Thanks again, Kelli! Ok, I feel like I ALWAYS say “I hope this is something you can use, blahblahblah”, but I really do hope it is! Actually, I would love it (if you have a second) to hear if it is something you might use and what grade you would use it with. My GoogleDocs are out of control!! Totally LOVE and will totally use!!! I have 3 ELL students and I also have some kiddos with learning disabilities so this will totally help them with their writing and reading as well:) Thinking I will print and laminate one to post in the classroom and then maybe one for each for their writing binders:)) Thanks for sharing your amazing stuff!!! Thanks for sharing! I've got some kiddos who are struggling with blends this year. This will really help them. BTW, I LOVE your tutorials! This is so awesome! I have a group of students who REALLY don't know blends. Not even sh! First graders usually know that one. This will be great for my kiddos. Thanks for sharing it. Oh Kristen! They are awesome!! You know how I love me some Thistlegirl. I'm in the process of putting together a writing resource folder for my son and this will be added right to it. Thanks a million. I love this. 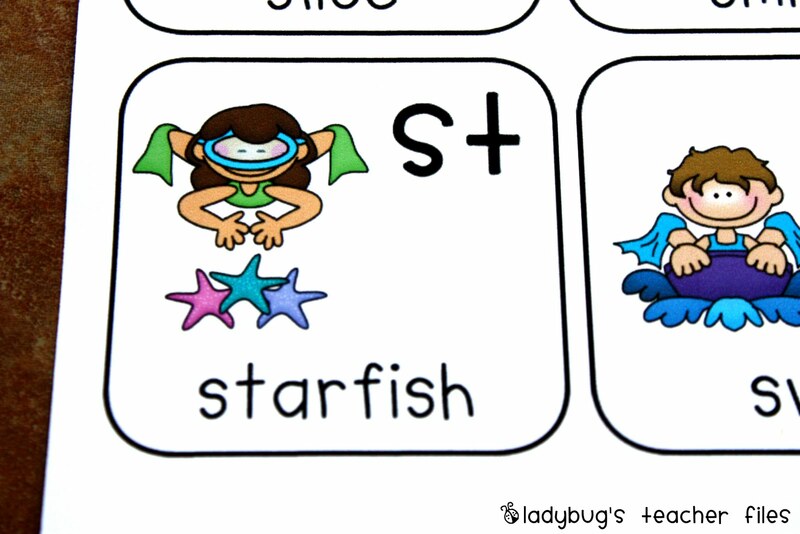 We just started working on consonant blends and some of my lower level kiddos are just not getting it. Visuals are a huge help. Thanks for sharing! This is so perfect. For our Walk to Read program I'm teaching a group that struggles with their blends and high frequency words so this will be such a great addition to what I already have (plus yours is SO much cuter!). Thanks for all you share! This is great. I found the one at Castles and Crayons earlier today! Great minds must think alike. I will definitely use it with my 3rd graders. My kiddos will really use this! I awarded you the Versatile Blogger Award. I love, love, love these! Thank you. Of course I will use it with my 1st and 2nd graders. Unfortunately, my students don't work on blends. Hi! I am downloading this – here is my plan: I am printing 2 sets, my 8 yr old dysgraphic with cut them out (practicing his cutting skillz) and then he can play go fish with them with the 4.5 yr old who is starting to read. Wish me luck! Hi, I really love reading your blog and have chosen to award you as one of my favourite versatile bloggers. You know I heart your blog like something serious, right?! So, I have chosen you also as one of my favorite blogs and receiving the Versatile Blogger award! I can't wait to use some of your ideas. They are always so creative and your explanations are so complete. I feel like I can use them the very next day. Thanks for being so open with your work! Thanks for sharing! I look forward to getting to use these in my classroom! I love the chart! I have a little hand motion I taught my kids for blends and diagraphs! They love doing it! I will have to take a picture of it and put it on my blog for you! You should check it out! This is ADORABLE! I'm planning on using this with some kids with special needs who are in my classroom. It is amazing how many sixth graders don't have a grasp on phonics! My favorite is the SMILE picture. I am thinking of doubling that one and leaving one on my desk–or maybe I should have it tattooed on my arm for quick reference! Thank you for your amazing ideas! I also just gave you the I Heart Your Blog award on my site!! I teach third grade and most of my students have this down, but a few still have a little trouble. This will be very helpful for them. Thanks. My gosh these are so cute! My ink is diminishing by the second with all the goodies I find on here. I LOVE that clip art! Adorable! Thanks for your hard work and sharing! thanks for sharing! My son has troubles with blends so this is perfect for him. This is great! I can't wait for my students to see this. I'm new to your blog. 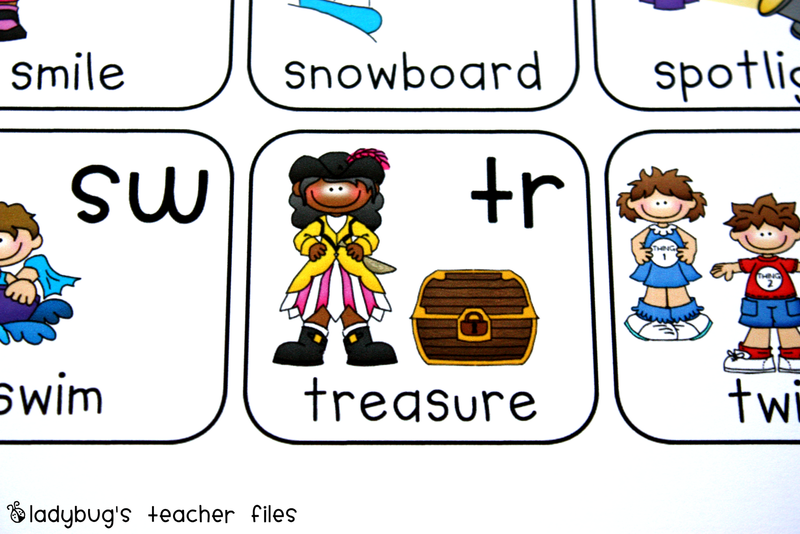 Do you have vowel blends that you have created? This is adorable, thank you for sharing!! But I was wondering if you had thought about making any for the 3 letter clusters, like "str" in "strike" or "stripe" or "spl" in "split." I'm a senior speech pathology undergrad, and I printed out your first set of blends, but I would LOVE to print some with those clusters to match, as well! Just a thought (: At any rate, this poster is cute as can be. I really like this poster too. My 2nd graders who need some extra help are using it. Would it be possible to make a version that does not have the sh combination? We teach this separately as a digraph. And I second the vowel pairs and 3 letter clusters if you are ever looking to make something in your spare time! Thanks so much for your hard work. Hi, I have been prowling around finding all the wonderful goodies on your site. I have been pinning like crazy so I don't forget anything. I will be using this with my 1st and 4th grade homeschool students. Thanks so much for sharing all your creative ideas. I homeschool 6 but I am so impressed with classroom teachers who have a whole room full of little blessings to educate and love. I hope you have a wonderful day. I just posted a very different way to teach blends… I'll be using it along with your cute chart! Love this and will certainly use it for my firsties!! Thanks soooo much for this. I teach ESL in South Korea. Phonics is often neglected which means many kids can't read properly as they are unable to sound the word. Your chart is so useful! Thank you so much for sharing! Just found these on pinterest and fell in love! Now your newest follower! I don't know how I missed these when you put them up last September–they are adorable and useful! Thanks to Pinterest, I have now downloaded them (and repined!)! Thanks to YOU, too! I promise, I typed "repinned" and spell check sabotaged me! i found you via pinterest…thanks so much! I absolutely Love This Chart!!!!!!!!!!!!!!!!! I have been trying to find it for some of my students who have not learned blending sounds yet. I also have one student who does not know how to read in English, this will benefit him as well. This will help them out tremendously!!! Thank You ever so much!!!! Thank you! This chart is adorable, my students will be obsessed with it! I cannot wait to start using it with my kindergarteners. This looks awesome, thanks for your hard work!